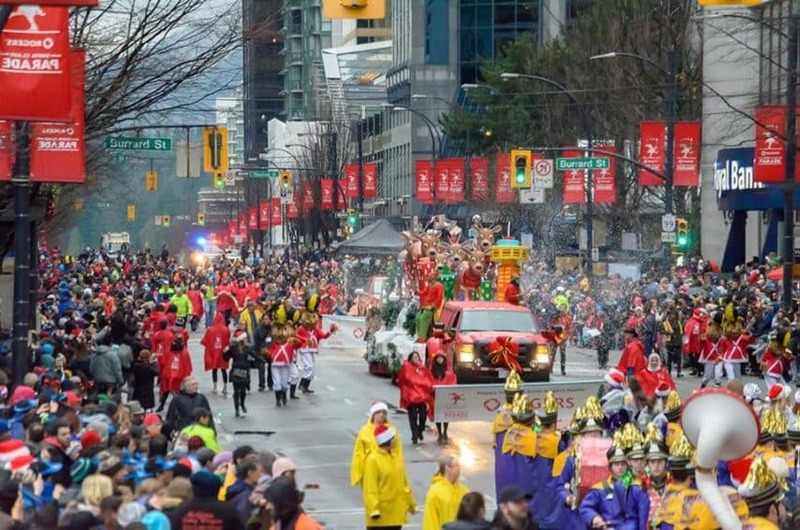 A list of Santa Claus Parades in and around Vancouver. Do not forget to take food/donations for your local food bank and charities. The parade will start at Fraser Highway and 56th Avenue (at 6:00 pm), travel east along Fraser Highway, and finish at Fraser Highway and 207th Street. Begins at Corbould St/Spadida Avenue, to Corbould St to Wellington Ave to Yale Rd to Princes Ave to Mary St and Spadina Avenue to end at Corbould St/Spadida Avenue. Community Lantern Parade starting at Village Square and winding down through Snug Cove to the Union Steamship Marina & Doc Morgan’s. Visit the Cloverdale Town Centre in Surrey on Sunday, December 2 and celebrate the arrival of Santa with a magical, evening, lighted parade. Inspired by the most watched commercial of all time, the 1997 Coca Cola lighted truck commercial, was partially filmed in Downtown Cloverdale. The Big Rigs for Kids begins at the front of the Surrey Santa Parade of Lights and then form a convoy and travel to the City Hall Plaza (13450 104 Ave) to form a display of lights until 8pm. The parade route runs along Fraser Highway through downtown Aldergrove.